There is a high degree of irony in the raison d’être of Chrissiesmeer and even how its name came about. This all is due to an eccentric Scotsman, Alexander McCorkindale, (1 October 1816 – 1 May 1872) who fell in love with this area which reminded him of his home country, Scotland. McCorkindale's activities from 1856 up to his death in 1872 was quite extraordinary, and one can with good reason call him an entrepreneur, a shrewd businessman (typical Scot) and a person with vision. That he was additionally an astute politician is also apparent. He convinced the ZAR government to sell him 200 farms to the southwest of Swaziland. His dual ambition was to establish a Scottish settlement (called New Scotland) and to use the area as an access route to the sea, via Swaziland and Mozambique. He had mixed success on both counts. In 1866 the Republic of New Scotland was proclaimed. Roburnia, its capital, was later (in 1882) renamed Amsterdam, after the Dutch harbour city. Other towns in the Republic were Industria (today's Chrissiesmeer), and Londonia (today’s Derby near the town of Piet Retief). Alexander was also responsible for the name Chrissiesmeer. He and his wife did not have children and were very fond of Christina Pretorius, Pres. M.W. Pretorius's daughter. They renamed Zeekoepan to Miss Chrissie’s lake, which later became Lake Chrissie and even later Chrissiesmeer. Some cynics suggest that the renaming of the town is testimony to McCorkindale’s astute political skills in endearing him to Pretorius. 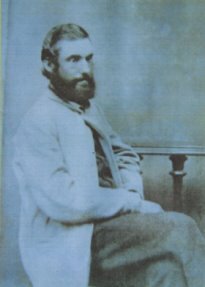 McCorkindale died in 1872 of malaria fever while planning a harbour in Maputo. On 21 July 1855, during the reign of Swazi King Mswati II a tract of land along the Pongola River and upwards, including the present area of Lake Chrissie, was ceded to the Voortrekker Boers of Lydenburg. It followed upon an earlier cession, in 1846, of all the land from the Crocodile River to the Oliphants River. What the Swazis had in mind with the 1855 land cession was to create an effective barrier between themselves and the Zulus. The ceded areas became part of the new Zuid-Afrikaansche Republiek (“ZAR”) which covered the entire territory of what would later be known as Transvaal. Its founder president was Marthinus Wessel Pretorius (1819-1901). A few years earlier, Boer farmers from the Lydenburg area had started to move away from their malaria-infested environment to the Highveld, but once arrived there, never ventured further eastwards than the Groot Zeekoepan, the present Lake Chrissie. The ZAR, critically short of European inhabitants and in dire financial straits, was delighted when, in 1864, a Scot by the name of Alexander McKorkindale came with a proposal to develop, with the help of Scottish immigrants, the area which had been ceded by the Swazis in 1855. In 1856, McCorkindale, his wife Mary, members of his family and some 70 other Scots had arrived by boat in Natal. Although he was supposed to be a “cattle trader and a trader in wild animal pelts”, McCorkindale tried his hand at various ventures. His first was a rather dubious scheme to promote large scale immigration of indentured orphans into Natal, in return for which he would receive a free grant of land on which to settle them and put them to work. The Colonial office not surprisingly turned it down. In the early 1860’s he approached the government of the Orange Free State with a proposal for a Scottish settlement on farmland there. This proposal was rejected. He obtained land in the Tugela area and business interests near Stanger. These ventures were unsuccessful. It was then that a fellow-Scot, David Forbes, during 1863, came to McCorkindale’s rescue. David Forbes came to Africa in 1850 and had also tried his hand at various ventures. He was a big game hunter, trader and Land Surveyor, although some of his surveying techniques may be viewed as questionable (see below – Great minds think Alike). Forbes was familiar with the area to the west of the Swaziland border where he regularly went hunting and had been struck by the area’s landscape with its lakes and rolling hills. The area reminded him of Scotland, and he was without doubt the catalyst that influenced McCorkindale, in 1863, to visit and become enraptured with the potential of the area. Forbes was married to a daughter of McCorkindale’s brother-in-law, David Purcocks, who had formed part of the original group of 70 that landed in Natal in 1856. He was commissioned in 1853 by the British Royal Navy to survey the Maputo river in what is today Mozambique, east of Swaziland. During his extensive travels he witnessed wondrous sights, such as a herd of elephants he recorded at 20 miles in length. He was not overly impressed with the typical Highveld climate, because during winter there was “little, if any, shelter available and firewood was scarce”. Conversely, in the summer, the hills and valleys were “covered in a lush green carpet of nutritious grass and wild animals were abundant, and roamed in their thousands”. In later years, when New Scotland was being established, Forbes was employed to lay out the farms for the new Scottish community. "He walked in one direction for 45 minutes, set down a stake, turned, walked for another 45 minutes, put down another stake, and so on until a farm was squared." Stakes were later replaced with stone markers, some of which survive today. Later still, after 1866 when the idea that a railroad was needed to transport future exports to a harbour on the Indian Ocean gained popular support, the ZAR hired David Forbes to survey the route, and for compensation awarded him four farms. McCorkindale journeyed the area to the southwest of Swaziland with Forbes, and experienced deja vu at the sight of "the Scottish highlands transferred to wild Africa." McCorkindale’s interest was aroused in its strategic potential and once he saw the region, he immediately went to see President Pretorius, the then president of the ZAR with a proposal to settle immigrants in the area. Pres Pretorius was taken in by McCorkindale’s immigration scheme and obtained authorisation from the Volksraad (parliament) to commence negotiation. At the time the ZAR finances was in such a pitiable state that proposals for investment was most certainly to be welcomed. On 15 October 1864, an agreement was reached in terms of which McCorkindale would purchase 200 farms from the ZAR to be “settled within 5 years with suitable immigrants”. By the end of 1864, he had established the Glasgow and South African Commercial Agricultural and Mining Company (“the Glasgow and South Africa Company”), with Pretorius' assent, for "the settlement of able-bodied Scottish immigrants." McCorkindale was tremendously confident about the project and President Pretorius saw in him a saviour of his fledgling republic. That same year Mr and Mrs McCorkindale were granted ZAR citizenship. 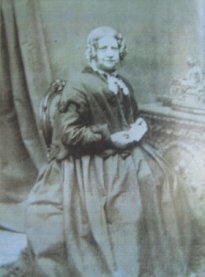 In 1866, the McCorkindales, who were childless and who were fond of President Pretorius’s young daughter, Christina, took her on a voyage to Britain. The purpose of the journey was to raise funds for the new venture. He departed to Scotland and Europe to try and persuade settlers to come to South Africa and raised funds by selling the mineral rights to the Glasgow and South Africa Company. McCorkindale returned from Europe and during the months of June and July 1866 toured the area with President Pretorius and was shown the demarcated area (to be called New Scotland) upon which the Scottish immigrants, who were still in Natal, were to be settled. Finally, on 13 July 1866, an agreement delineating the area and stipulating the conditions of the settlement deal was signed by Pretorius and McCorkindale. President Pretorius announced the deal formally to the Volksraad on 10 September 1866 as follows: ”I have no doubt that Mr McCorkindale’s ventures will contribute to the speedy development of the Republic”. The agreement provided for a company (to be established) to purchase from the ZAR 200 farms of 6,000 acres at £40 each, of which 120 were to be resold to the Scottish immigrants, and the remaining 80 were to be retained within the company. The mineral rights over all the land would vest in the company. McCorkindale on his part undertook to provide the ZAR with ammunition and banking facilities. On 2 August 1866 the Volksraad ratified the agreement and on 6 October recognised the Glasgow and South Africa Company. A registry office was established to record the anticipated purchase of farms by Scottish settlers. Testimony to the success of his fund-raising in Europe is the fact that the amounts of money that McCorkindale and his Scottish companies were able to concentrate in this restricted area was far in excess of anything the ZAR could muster. Between 1867 and 1870, e.g. the Glasgow and South Africa Company spent £30 000 on livestock and buildings alone, which was more than the ZAR could expend for the whole of the republic. The Scottish settlement was given the official name of New Scotland. McCorkindale’s plans for it included sheep farming, mining enterprises and even an industrial hub. New Scotland was divided into three sections. The northern section was called Industria. 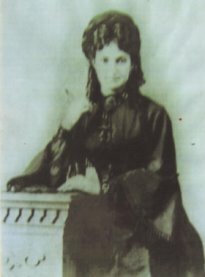 The Groot Zeekoepan, which fell within Industria’s boundaries, was renamed after Christina Pretorius. On a map of Industria, drawn by land surveyor Magnus Forssman and dated 27 August 1867, the lake’s new name is given as “Miss Chrissies Lake”. The middle part was meant to be the capital and was called Roburnia, after the Scottish poet Robert Burns. It is the present-day Amsterdam. In January 1867, the first Scottish immigrants arrived. Boer wagons previously used to transport skins were hired to move 30 families (more than 50 people and mostly relatives of the McCorkindales) from the failed Natal venture. They brought with them from Natal, livestock and farming equipment and erected their dwellings in the area of Industria near the current Lake Banaghar. Many of them became colourful characters in the region. Amongst others were David Purcocks, brother in law of McCorkindale; David Forbes son-in-law of David Purcocks; Alexander McCorkindale, a blood relative of the great McCorkindale; four brothers by the name of Arthur; two bachelor brothers named King, of which one later became Member of Parliament for Kokstad; one Edgar, a school teacher, who later traveled to Natal on foot with his wife and returned to Scotland; Childs Clark, first husband of Mrs David Purcocks Straker, a son in law of the old Purcocks; Bob McNab who later became Swaziland’s own Billy the Kid; Clarence and Edwin Buchanan; Robert Bell; and James Dingley, relative of Mrs McCorkindale. It was a modest start to a grandiose scheme. McCorkindale and his wife are said to have lived for a while in a cave overlooking Lake Banagher, before building a cottage close by. Cave and cottage have become a tourist attraction. The settlement's first commercial venture, sheep farming, was a disappointment. An unmarried adventurer, Bob McNab, drove away the remaining flock for sale, but then pocketed the money, disappeared into the far eastern reaches of Swaziland and proceeded to live a colorful life as the country's most notorious white resident. The major accomplishment of the settlers was the introduction of wattle, an aloe from Australia used to treat animal skins. A tanning industry was established. By the time the first Scottish settlers arrived in Industria, McCorkindale had already set his mind on a new venture, and instead of concentrating his efforts on the development of New Scotland, left matters there in the hands of an agent, Robert Bell. McCorkindale was not an idle man. He had a lot of groundbreaking ideas, which he wanted to try out, some of which included loaning money to finance import rights and taking personal control of the ZAR Department of Import Rights, Commerce, and Agriculture. In 1866 President Pretorius had commissioned David Forbes to investigate the possibility of establishing a harbour on the Mozambican coast and Forbes’s feedback had been positive. McCorkindale was expected to see to it that the link-up would be made. Accordingly, and true to his nature, McCorkindale’s main new venture and passion (which was to finally cause his demise), was to link New Scotland with Delagoa Bay on the Mozambican coast. This meant that the ZAR would have its own connection to the sea and its own port, thus easing its economic dependence on Natal. He furthermore convinced the ZAR Government to investigate a variation on the Forbes’ mandate to build a harbour, but to additionally deepen the Pongola River up to Josini dam. This was necessary to bring the ships inland, to establish a transport route for exports that was free of tsetse. The ox wagons were to bring their cargo only to Pongola where it was proposed to be loaded onto ships for export. The project was a challenging one, not only from a technical, engineering point of view, but also politically for obvious reasons, considering the view of Portugal, Britain, the Zulus and the Swazis. Not surprisingly therefore, when in 1867 McCorkindale’s plans were laid before the Volksraad, many of its members thought them to be impracticable and it needed the Chair’s casting vote to have them approved. McCorkindale saw this as a vote of no confidence in him. In a fit of pique he withdrew his plans and tried covertly to elicit support from a number of different sources. To the British, he presented the concept of an independent (British) Republic of New Scotland. He promised the prospect of extensive secession from the ZAR and the revival of British influence North of the Vaal. He was simultaneously courting the Swazi king to whom he hinted at an arrangement to preserve or protect them from the Zulus. All of these proposals to the ZAR, the British and the Swazis shared a common theme in the idea of opening up communication to the sea. In order to get to Delagoa Bay, McCorkindale had to gain access through Swaziland and for this he needed control of a land corridor. Pretorius' own ambitions to access the sea at St. Lucia Bay failed or collapsed and corridors through Swaziland became ZAR's ambition to the sea. McCorkindale had the money and the organisation to put this proposal into action and the ZAR’s own resources were hopelessly inadequate to the task. Accordingly, when in 1869 McCorkindale approached the Volsraad afresh, with reworked plans, the Volksraad gave its approval. Regrettably the new plans would never bear fruit. On 1 May 1872, while on a trade inspection tour of Delagoa Bay and the Pongola River on foot, he contracted Malaria, and died on Inhaka Island. Soon, most of the Scottish immigrants would leave their farms in search of better opportunities. And so his dreams died with McCorkindale. Or did it? As to its status in the ZAR, 20 years after McCorkindale’s death, one of the 13 ZAR districts that went to war with Great Britain was proudly and hugely ironically: New Scotland. The other 12 were Marico, Bloemhof, Rustenburg, Potchefstroom, Waterberg, Pretoria, Heidelberg, Soutpansberg, Lydenburg, Middelburg, Wakkerstroom and Utrecht. And as to the corridor to the sea: If McCorkindale had been alive today and aware of the proposed extension of the N17 National Highway through Chrissiesmeer to Swaziland he would suggest that it was merely overdue by 150 years.